When the import of the gracefully artistic blue and white chinaware from Canton to Britain declined, British potters found it necessary to learn how to recreate the hand-painted ware themselves, and soon perfected a process using the technique of transfer printing. This book is all about this technique and the beautiful pottery it produces. It covers the origins, manufacturing process, Chinese patterns and other designs, identification...etc! It also contains a wealth of clear black and white photographs to further aid in identification, which should be of great help to the collector. 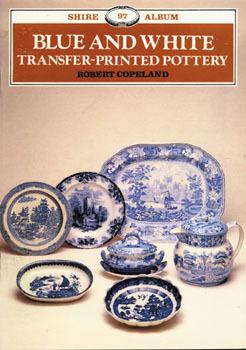 This excellent new book will both aid the collector of these wares and those wishing to learn the process behind them.